Being a sincere, born-again Christian who cites a graphic portrayal of demonic possession as my favorite movie ever, I should expect some puzzled second glances and more than a few questions. The film’s subject matter definitely isn’t for everyone (I actually discourage people who are particularly sensitive to its such things from seeing it), but it is also often highly misjudged based on its reputation as “the scariest movie of all time” and the viewing of a few popular scene clips. At its core, The Exorcist is an examination of how we cope with evil in the world around us, particularly when that evil attacks the innocent among us. For those who don’t already know, the story revolves around a young girl and her actress mother whose imperfect but comfortable little world nearly comes undone when the girl begins to exhibit evidence of demonic possession. The mother’s only hope for her daughter lies in a young priest whose faith is wavering and an elder priest who health is failing. My affections for it almost entirely lay in the film’s quieter moments, but I also admire that the film presents the devil as horrific and malevolent rather than cool or charming. Its script is a powerful exploration of the persistent struggle we each have not only to overcome evil in the world around us, but to try to understand it and this theme is a constant source of fascination for me (the moment when the elder priest provides his theory for why this is all happening is profound). 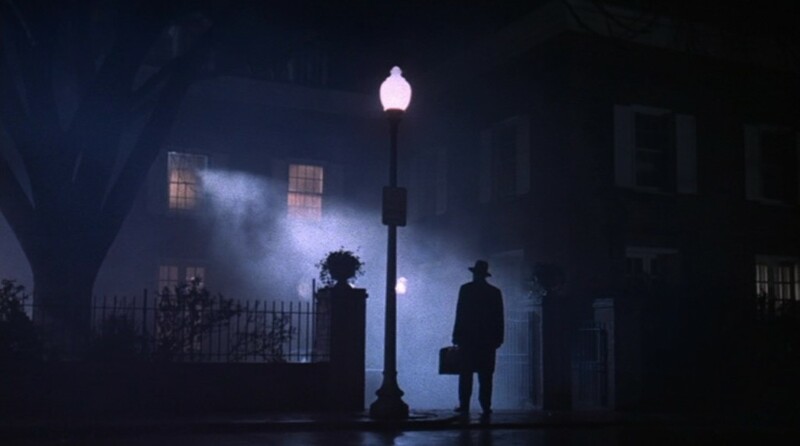 Despite its occasional theological awkwardness, The Exorcist presents us with the message that the only way to ultimately overcome evil is to lay down your life and even though this message might be obscured for some by the film’s more extreme moments, it’s a message that resonated with me so strongly that it placed this movie as my favorite. My favorite moment in the movie (one that I think best captures the movie’s heart) comes after the younger priest has lost a psychological battle with the demon and is forced to retreat from the conflict. As the young priest sits sulking in self-pity and confusion, the girl’s mother steps in and quietly asks, “Is my little girl going to die?” In that moment, the young priest casts aside his self-absorption and with a confidence he never had before, declares “No.” before rising back up the stairs to fight again for the soul of the little girl, and his own. There is genuine ugliness and horror in The Exorcist, but there are also moments of striking beauty and grace and perhaps such is true of life itself as well. Alfred Hitchcock is my favorite director of all time and Psycho is unquestionably one of his greatest thrillers. It has been analyzed and discussed ad nauseum and there’s so much that I love about this film that it’s hard to narrow down precisely what I love most. 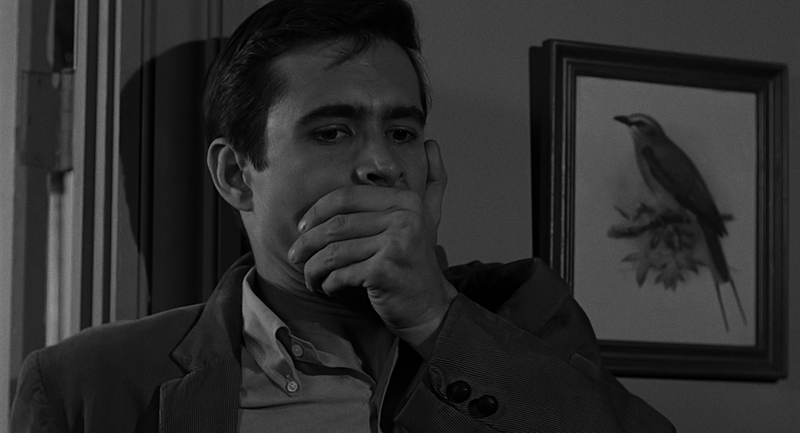 Within the context of a riveting suspense tale, the film explores how guilt and desire can make us “all go a little mad sometimes.” That observation, in all its haunting simplicity, is what makes such an outlandish story as Psycho so frighteningly human. We may never go as far as the characters in this film go (outright theft and cold-blooded murder, for instance). But what the film doesn’t come right out and tell you is implied pretty strongly: The only hindrances to the unleashing of your criminal impulses are often motivation and opportunity. This theme of the good and evil that lies within all of us has always fascinated me and Psycho certainly has some rich depth of creative exploration from that arena. But what I love the most is that it’s simply a gripping story, well-told by an unparalleled master of the suspense genre. 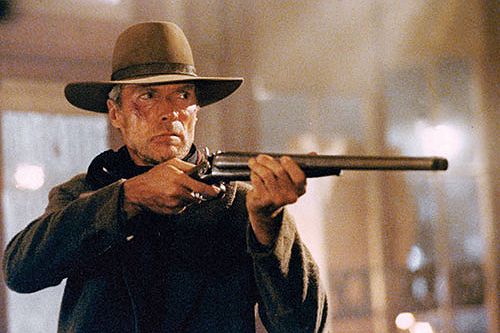 Eastwood helped to redefine the Western for American audiences and he cited Unforgiven as summing up everything he felt about the genre. The film is about big ideas in a very small world. Amidst simple confrontations of violence and revenge are examinations of identity, politics, violence, and (most notably) the deconstruction of legends and myths. When I first saw this movie, I didn’t care very much for it because it consistently gave me what I didn’t expect. However, as multiple discussions and repeated viewings occurred, I became enthralled by what the film had to say about what happens when we play games with the darker shades of our humanity. Characters move arrogantly through the story until finally one of them (like a flesh and blood angel of death) literally cleans house in one of the most compelling climactic shootouts in film history. In The Man Who Shot Liberty Valance, the point is made that “When legend becomes fact, print the legend.” In Unforgiven, you could almost imagine someone saying, “When legends become fact, you’d better arm yourself.” It’s a staggering character study about the nature and power of modern myths (particularly the myths of the old west) and the more I see it, the more compelling I find it to be. I’ve written and spoken at length about this film before on this website (see an earlier blog and podcast episode), so I won’t retread all of the same ground here. I adore this film primarily because of its overt life-affirming message. I’ve heard recently that the film supports conformism and status-quo compliance, but I respectfully disagree. The heart of the film’s message is that every individual matters and that when people believe that they don’t matter, they need only see beyond the lens of their own perceptions to recognize their value. Certainly some people lead lives of unbearable hardship, but the film isn’t trying to say that everyone should just shut up and be grateful. It’s saying that there are truths beyond the realm of our own experiences concerning our value in this world, and the verdicts we so freely declare over ourselves and others are often flawed simply because we don’t have all the information. 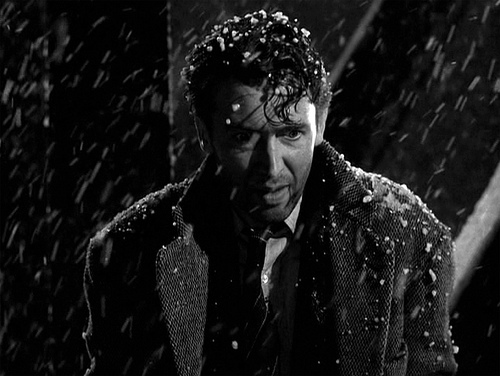 I think of this film often when I begin to feel that I’m a victim and that life simply hasn’t been fair to me. It’s a wonderful reminder to know that perhaps the disappointments I’ve known can’t compare to the blessings I’ve been given. I have always loved animated movies and many of them would rank among a larger list of my all-time favorite movies. But of all of the ones I’ve seen throughout the years, this little gem from 1999 holds a unique place in my heart. It’s criminally under-known, although everyone I know who has seen it expresses great praise for it. The story feels like one of the Ray Bradbury or Steven Speilberg fables about childhood in idyllic America and coming-of-age via elements of fantasy (i.e. ET or Something Wicked This Way Comes). 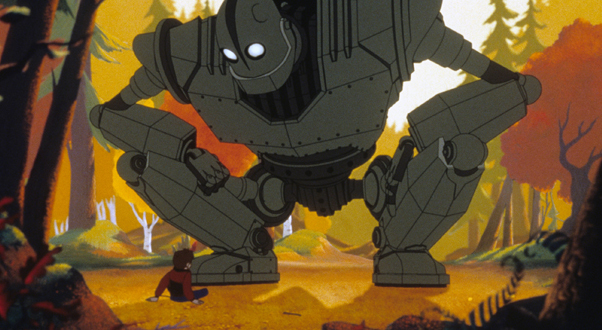 Yet, the deeper well in The Iron Giant is what it has to say about identity. Many stories have dealt with the tension between how others perceive you and how you really are, but Iron Giant deals more directly with a more challenging theme: what if the purpose in your nature directly contradicts the purpose which you have chosen? Admittedly, the film’s last third can feel a bit heavy-handed, but the substance of that question (Are we who we choose to be rather than who our nature tells us we are?) is beautifully treated in this movie. When the metal machine of the film’s title finally answers that question directly, I dare you not to choke up. It’s a warm, touching, funny, and constantly engaging story that inspires me exponentially more the more times I view it. When I first saw it, it instantly entered my top 25. Less than ten years later, I gladly place it here. I saw this film when I was even younger than its adolescent protagonists and upon first viewing, it nearly scared me to death. 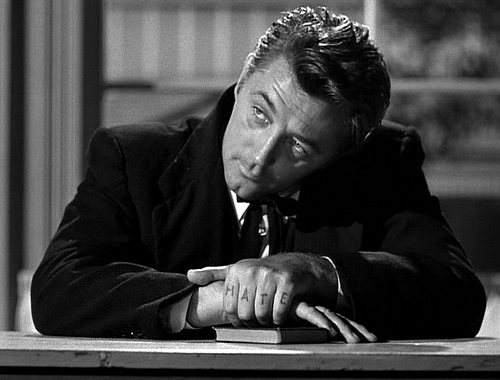 Robert Mitchum’s sinister Reverend Powell is one of the most affecting and powerful performances I’ve ever seen: a blend of charm and avarice that I can’t imagine any other actor achieving. The film is a suspense masterpiece throughout, but the reason it is so high in my favorites has to do with the film’s second half, where the victims of Mitchum’s sinister scheme stumble into the shelter of Miss Rachel Cooper (played by silent film legend Lilian Gish): an elderly woman whose home is very definition of refuge for the helpless. The film’s build-up to an inevitable climactic showdown between the meek of the earth and the wolf-in-sheep’s-clothing resonated profoundly with me as a little boy. The film dares to say that it is not only strength of body or mind which can confront evil, but strength of heart and spirit. Don’t miss the moment when both Cooper and Powell harmonize in a chorus of “Leaning on the Everlasting Arms” while both the hunter and the hunted are armed for battle. 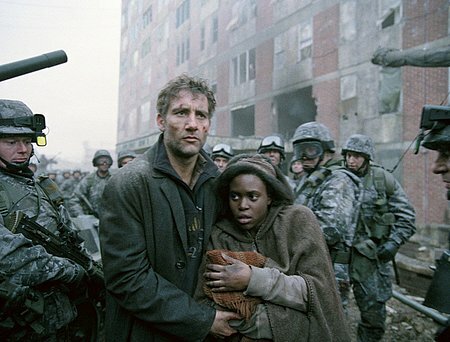 The metaphors in the film’s moments are rich and complex, despite a relatively direct premise, and every time I see it, I walk away thinking of some profound, newly emerged observation. What I love most about Robert Duvall’s powerful film about a small-town Pentecostal minister who falls from grace and rediscovers himself in the aftermath is its courage to believably portray a culture of people who had previously been viewed primarily as clownish clichés at best and sinister hypocrites at worst. With Duvall’s film, the Southern charismatic culture (in which I was raised) is given flesh and bone. The quirks and eccentricities of their religious fervor are treated with striking grace and humanity and the film succeeds both as a compelling story of one man’s fall and redemption and as a glimpse into an often misunderstood and ridiculed American sub-culture. 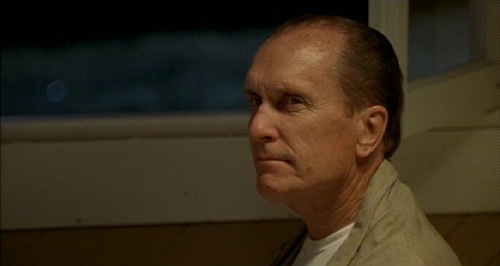 Duvall’s performance is mesmerizing and the world he builds for his characters is consistently believable and often quite moving. Yet, it doesn’t make the mistake of baptizing its protagonist in ultimate righteousness either. The apostle of the film’s title is full of violence, lust, and a certain measure of arrogance and pride. Yet, he is also passionate about spreading the gospel and saving the lost, hopefully recovering for others what he seems to have lost for himself. This duality makes the film too human to dismiss, despite its overtly religious dialogue and settings. In it—for the first time as a charismatic Christian—I saw myself and the people I grew up with realistically portrayed and I love the film for that reason chiefly among others. When I first saw Alfonso Cuaron’s masterpiece, I watched it casually as a recommendation from a friend. Little did I realize its story would exponentially grow in my heart and mind as the years progressed. In a futuristic world, women cannot conceive children. The world is steadily decaying with this realization and amidst this turbulent scenario, one man stumbles across a frightened young pregnant girl. What follows is a journey about death (and ultimately rebirth in a very literal sense). There are too many themes at play in this movie to do justice in a single paragraph, but what most inspires me about the film is the heartbeat at its center that with new beginnings (specifically the birth of a new generation) comes hope. Hope like that is not only worth fighting for, but worth giving your all to see it come forth. As a man of faith, this theme speaks very loudly to me and the journey that Clive Owen’s character takes in this movie is one of the most beautiful illustrations of it I have ever seen. 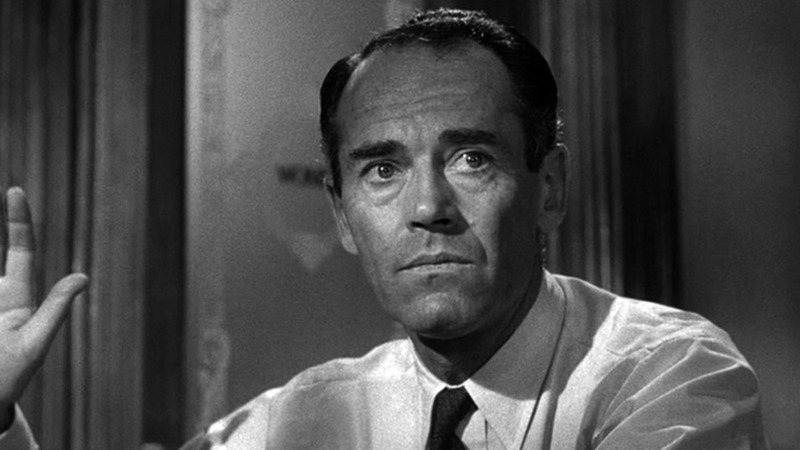 Perhaps the greatest courtroom drama to not take place inside of a courtroom, 12 Angry Men started as a play by Reginald Rose with a masterfully simple premise: a young man is on trial for the murder of his father and his fate is in the hands of 12 jurors. As they deliberate on the trial and its evidence, what begins with one man against the other eleven becomes an incredible examination of the assumptions, prejudices, and judgments we make daily in the course of our lives. The film is an exercise in subtext, and it works not only as a gripping mystery story while the evidence against the accused young man unfolds, but also as a provocative portrait of the wounds and frailties that lay within all of us. The formula has often been duplicated in TV shows and movies (always translating the superficial mystery story and never translating the profound human undertones of the original). But Sidney Lumet’s film version, with its subtle power and threads of grace, is still my favorite. Selecting your favorite list of anything can be a pretty pretentious act at times. If you’re like me, you enjoy multiple pieces of art for multiple reasons and the stack of qualifying elements to place something in a category of favorites can get buried under the weight of its own possibilities.